Win 2 £250 Charlotte Tilbury giftcards, for you & a friend | FreebieFinder UK | Freebies, Samples, & Other Free Stuff. 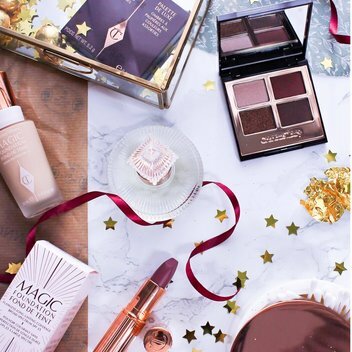 Shopological and Charlotte Tilbury have teamed up to give you a chance to win 2 prizes of £250 giftcards (one for you, and one for a friend) so you can shop from Charlotte Tilbury's Cosmic Gift Shop for mesmerising makeup MAGIC. This was posted 5 months ago 16th November 2018 and expired 4 months ago 17th December 2018. Enter this competition on the Shopological website to be in with the chance to win.